Get German cover and your visa for visitors, and enjoy your trip. International visitors from abroad are able to apply for visa with the guarantee certificate issued by the insurance. German medical providers will make our trip to Germany safe and easy. Wherever you go in Germany or somewhere in the world, your advisers are there with you. Our international researchers have compiled a library of travel insurance plans to help you travel safely and stay healthy. FinanzSchneiderei´s Assistance can protect your well-being and your travel investment. Our help is always just a phone call away. Remember that the best way to assure a successful trip to Germany is to buy travel insurance. So sind mit einer Versicherung alle Familienmitglieder im Urlaub geschützt. Ihr Alter hat ebenfalls eine große Rolle in der Kalkulation der Beiträge: Ältere Menschen sind aufgrund einer höheren Anfälligkeit für Krankheiten mehr gefährdet. Darum müssen Menschen über 65 Jahre mehr für eine Reiseversicherung bezahlen als jüngere Erwachsene. To get a quote and compare the best plans, please tell us about your trip and when you're going. This information will help us find the best offers for your travel insurance plan to meet your needs. Whether you're traveling for business or leisure, you'll appreciate the perfect benefits and coverage Insurance plans can provide. Our advisers covered hundreds of people in Germany and all around the world last year. For your clients we provide 24/7 support from our travel professionals. Simply inquire a travel insurance plan that meets your needs best. Get a Quote to compare the individual offers side by side. In Germany and Europe good and cheap covered as a foreign immigrant. In Germany and all other EU countries, special insurance requirements apply. Further details can be found in Regulation (EC) No 810/2009 of the European Parliament and of the Council of 13 July 2009 on a European Community Visa Code. It is the legal basis for issuing visas in all Schengen States. Our selected health care plans are awarded as test winners! We guarantee: A travel health insurance is cheap and offers extensive insurance cover. All proposed travel insurances meet the requirements of entering foreigners for Schengen visas. German medical providers will make our trip to Germany safe and easy. International visitors from abroad are able to apply for visa with the guarantee certificate issued by the insurance. Worldwide well-insured starting at 25 euro per month. As multiple-awarded provider of travel insurance plans the Würzburger offers with TravelSecure4Students a custom-made and reasonable foreign insurance plan for visitors like a language student, trainees, guest scientists and doctoral candidates in three variations. Are you a student? Get your online quote and apply easy with us. With the AXA´s foreign health insurance you are protected professional on holiday and business trips. The Axa tarifs cover alll the medically necessary treatments - without the additional travel health insurance you pay as a member of the statutory health insurance the treatment costs outside of Europe itself. "Hand in hand" make all works better. The HanseMerkur Insurance is your specialist for travel insurance in Germany. In particular, the health insurance for longer stays abroad of HanseMerkur have received many awards. Therefore Hanse Merkur offers customized travel insurances. Travellers can make their safety cheap with the products of German providers - perfect protection espacially for students! The health insurances of Mawista protects students who want to travel to another country or you decided to study somewhere else. 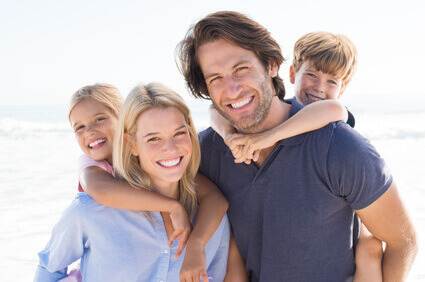 The Mawista health insurance is a specialist for foreigner in germany or german people in other countries. So every student or pupils who are insured at the Mawista are perfectly protected if they are in another country to fulfill their school career. The Mawista also has many kind of offers so their customers have many possibilities to insure themselves. When you are preparing your journey to Germany, please remember to investigate your insurance plan benefits. Doing so, you feel calm knowing that you can access any assistance you might need while traveling. Applying for a Schengen Visa and need health Insurance cover? When visitors are going to travel to Europe, they will need to know the requirements of the Schengen countries for insurance coverage. Not only Germany but 25 other countries of the schengen area are part of majority of European countries, except some countries such as Croatia, Bulgaria Ireland and the UK for expample. A trip for a longer period than three months requires specific travel insurance coberage whether visitors are traveling for business or pleasure, in a group or by your own. Plans must be valid throughout the territory of the member states. Coverage has to last the entire period of stay. Germany and all other Countries of the Schengen area will require a visa letter from the insurance provider including the confirmation that the plan covers these requirements. Of course the confirmation letter needs to have your complete name matching your passport and your date of birth. A minimum medical insurance requirement is EUR 30,000 – approximately USD 50,000. Cover must be valid within the whole Schengen region and for the full duration of the trip. Insurance must include any expenses that might arise in connection with repatriation for medical reasons, urgent medical attention and emergency hospital treatment or death. Ensure to check with your consulate / embassy about other specific health insurance minimums - because in some cases they can vary. Need Help? Feel free to get in touch with our professional health care advisers. Choose your health insurance carefully from the wide offer of the market. As experts, we help to consider not only a low price, but also a high scope of services and other factors. You would like to talk to us about health inusrance? Simply send us your phone number and your preferred call-back time. We will call you back free of charge. Get best advice now - for free! Your informations are a matter of trust! "Last year I nedded urgently a health insurance because i studied in another state. I founded online the FinanzSchneiderei insurance broker and they offered me a very good offer from the mawista. The mawista is a insurance and I were very proud to be safe during my school time! But also after this time the Mawista is very friendly to all of their customers and also offers cheap insurances." " The FinanzSchneiderei helps me with my insurance problems because I didn't find a suitbale insurance for a school year in another coutry. But now I have a contract with the Mawista health insurance. The Mawista pays all of my costs with develop in case of an accident or something else. I'm very proud to be insured at the Mawista and I'm very grateful to the experts of the FinanzSchneiderei!